Do you mean the satellite or the song? Yes. 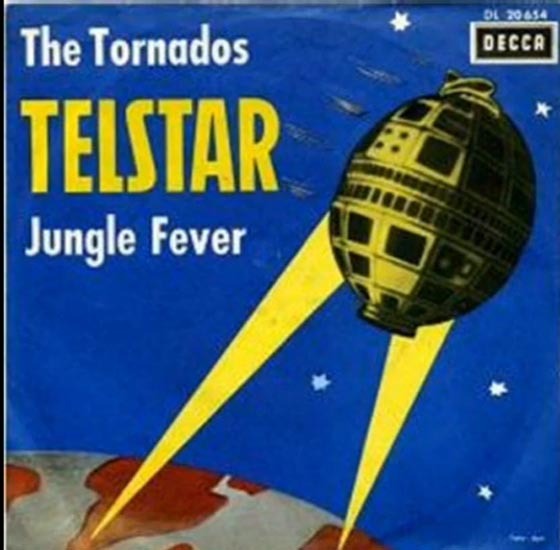 Telstar is the name of various communications satellites, including the first such satellite to relay television signals. Telstar 1 was launched on top of a Thor-Delta rocket on July 10, 1962. It successfully relayed through space the first television pictures, telephone calls, fax images and provided the first live transatlantic television feed.